The goal has always been the same: To be good stewards of the land we have been given. Jan Waltz, sixth generation Lancaster County farmer, and his wife Kimberly sought out to utilize their unique site and produce a product that could be set on a world stage. Jan’s Agricultural heritage and related degree from Penn State paved the way for meticulously maintained vineyards. 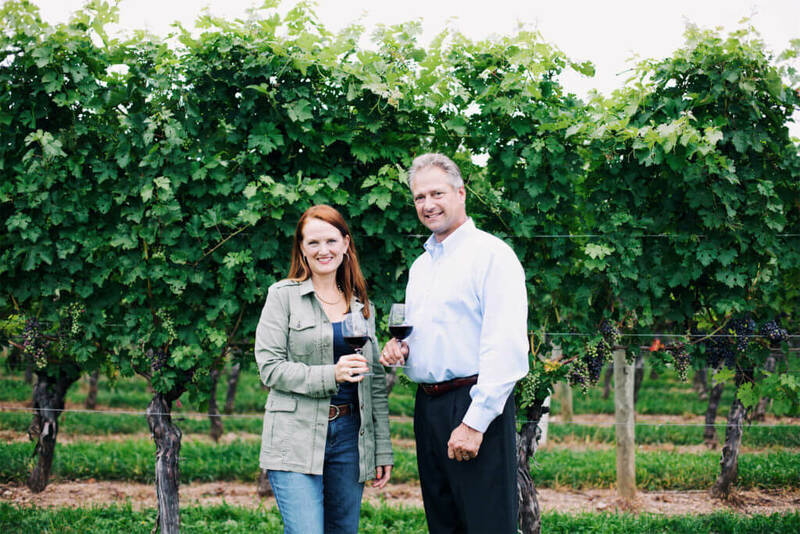 Kimberly’s experience with family business and marketing and related degree from Penn State provided the complimentary skill set necessary to launch Waltz Vineyards Estate Winery. And, coincidentally, they both LOVE great wines! 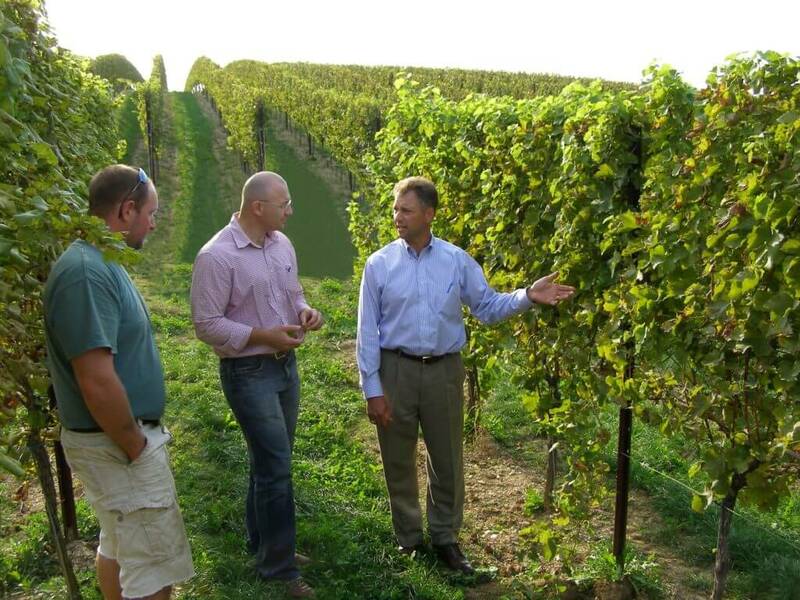 The Waltz’s sixth generation farm is situated on a beautiful hill in Lancaster County. The farm enjoys a Continental Climate similar to Northern Italy and Central France. This unique micro-climate also boasts well-drained soils and adequate air flow. For generations, our farm was used to produce traditional crops including tobacco, corn, soybeans and wheat. Although we still produce some traditional crops, our “sense of place” has consistently proven to be the perfect setting for world class vineyards! In 2000, we handcrafted our first wine in our exterior garage, a truly remarkable “garage wine”. Each year thereafter we perfected the art of fermenting, blending and creating wines that are made only from our hand-picked, carefully selected fruit. Our boutique winery utilizes the most modern wine-making technology imported from Italy. Our wines have received many accolades (see Awards Page) from International, National and State competitions. Like our fruit, our wines have earned a reputation for exceptional products in the industry. 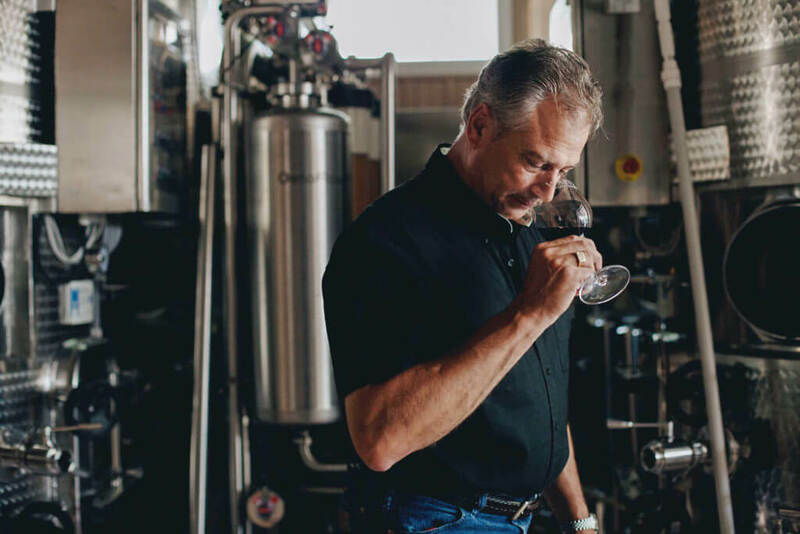 The addition of a world-renowned Italian enologist, Goffredo Agostini, with decades of winemaking experience, provided the expertise necessary to grow our production. Many of our wines are finished in French Oak Barrels. Our barrels are sourced from some of the top coopers in France. We order each barrel to be charred (toasted) specifically for the type of wine we are making. 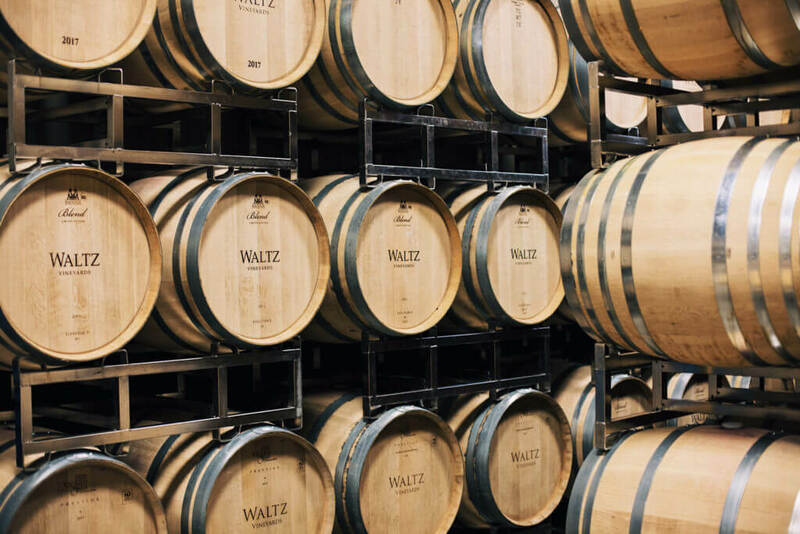 Throughout the year, we employ a rigorous barrel maintenance program to protect and preserve our investment in this beautiful cooperage. © Copyright 2018 Waltz Vineyards. All Rights Reserved.